Sometimes it is useful to be able to have tables along with the chairs. 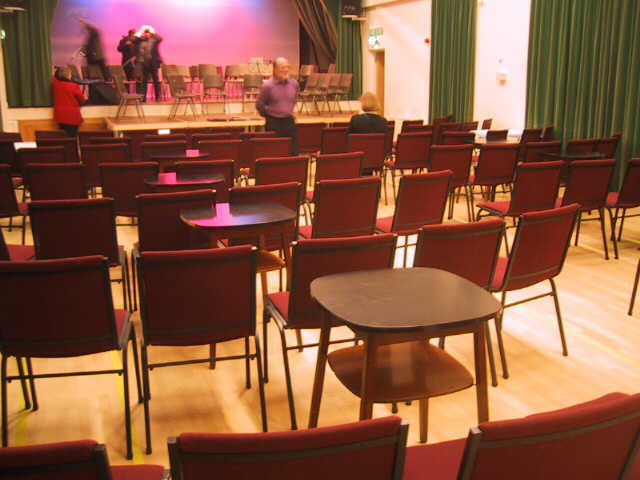 At the opposite end to the kitchen is a large stage which can be used for speakers or chairing larger meetings. 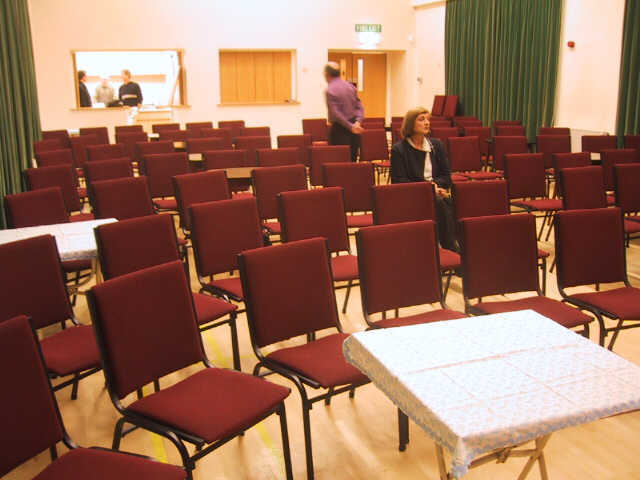 For smaller meetings up to around 20-30 people, there is a Committee Room. for meetings and other small gatherings. 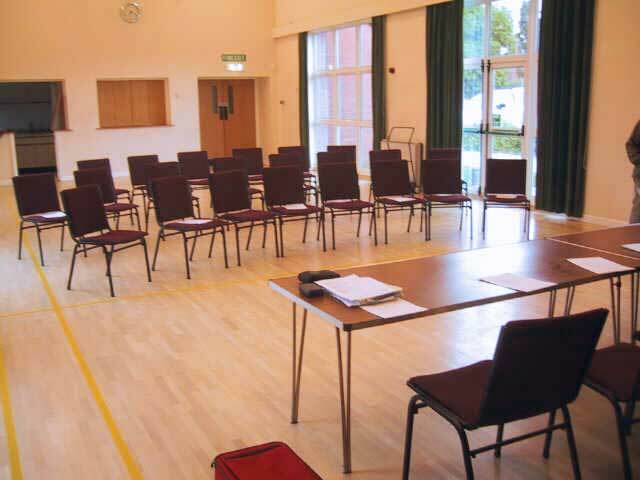 Less expensive and more intimate, this room is ideal for small committees and private meetings. 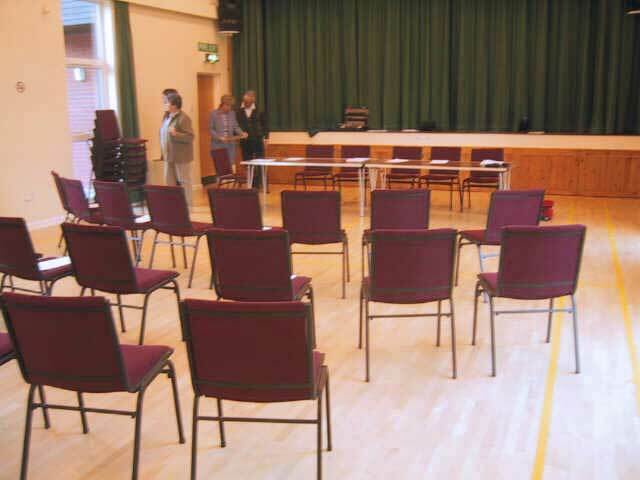 It is currently used for Parish Council meetings and Village Hall committee meetings as a good example. With plenty of parking and just 2 miles from Gloucester city	centre	this	lovely	rural location makes a pleasant change from city meetings.